Very recently I went to Bhutan to visit a friend. 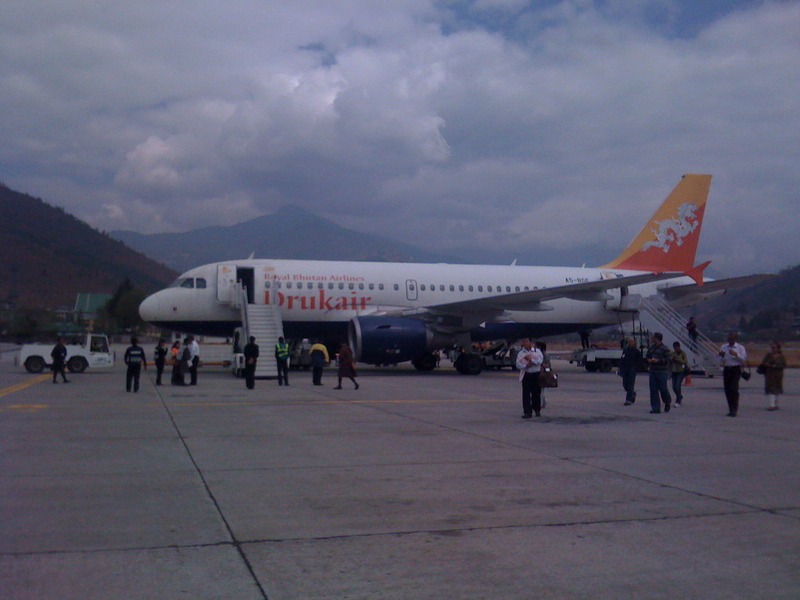 I was already in India and from there it’s a hop (although an expensive hop) on Druk Air. 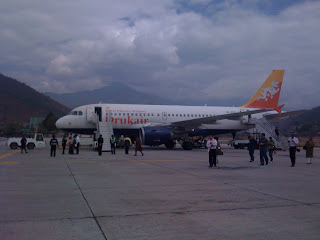 Druk Air is the only airline flying in and out of Paro International Airport so what they charge you pay. So I paid and I sat in my window seat and there was this legend (below). Sometimes it’s the small things that get you- like “Please fasten your seatbelt” written in your mother’s tongue or “Gyeltsen’s Carrier” written on the side of a cargo truck or “Sonam’s General Store” on the doorway of a convenience shop. Wouldn’t it be a good and beautiful thing one day to fly Tibetan Airlines and to go to the airplane toilet and see “Flush” written in Tibetan? It's as if she takes this whole event of invasion and occupation and colonization of this small island nation of Antigua and she strips away the varnish and the paint and she shows you what it was actually like and it's so simple and so ugly. And that's what colonization is: it's so simple and so ugly and so 19th century that people think it just doesn't exist anymore. Or people do know that it exists and it's Kitty Genovese all over again - being stabbed to death in broad daylight while whole bunch of cowardly people look through their beautiful curtained windows. So anyway I have had "A Small Place" on my mind these last few days, perhaps partly because I am in Dharamsala right now, which is a small place in its own special way.